3 generations of Letts Family bondsmen. 1st there is David Letts. The founder of Letts Bail Bonds. He brings 33+ years of knowledge and expertise to your situation. He has been in business in Vero Beach and knows many people. Let him help you walk out of jail. 2nd is Michael Letts, Sr. He has been a bondsman since 2000. Also in business for many years, he has lived and worked in Vero Beach most of his life. He will guide you to a successful exit out of jail! 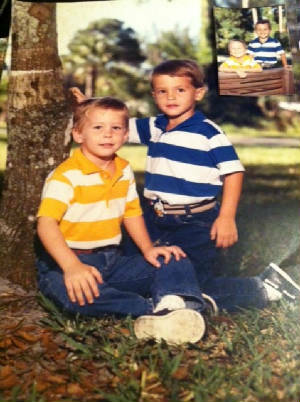 Joshua & Michael Letts, started thoughts of being bondsman partners early in life. The 3rd generation of bondsman consists of Joshua Letts and Michael Letts. The youngest of our bondsman family. Their youth and tenacity to assist you, will bring you the fastest track to get out of jail and with the expertise of the 1st and 2nd generation bondsman behind them, you will no doubt get the best and knowledgeable transaction. And the family waits for the 4th generation to begin to help you in about 11 or so years!